My PC has been mis-behaving itself recently. I’ve been getting some Security Essentials warnings recently about an .html file that the software didn’t recognise. I am not aware that I have ever accessed this file and as the file was stored in my Temporary Internet Files folder, there’s a good chance it was part of an install. The alerts were starting to become annoying. I cleaned my temp files folder (there were over 9,000 files in there) and I decided to tighten up my Internet security by tightening up my browser settings. In Internet Explorer – the browser I use most often I went into ‘Internet Options’ and clicked on the ‘Advanced button’ in the privacy settings tab. I set the ‘First Party Cookies’ to Accept. First Party Cookies are necessary on a site for you to be recognised as an individual visitor. Blocking first party cookies makes it really hard to login to any site anywhere. Google certainly will not let you log in without accepting first party cookies. I set the setting for ‘Third Party Cookies’ to ‘Prompt’. I did this to see how many ad serving cookies were going to be placed onto my PC. Every time a hidden cookie tried to place itself onto my PC I would get an alert. Each cookie belongs to a website – either the main website such as Facebook.com (First Party), or one of the ad server companies that serve ads within that site. These are domain names such as doubleclick.net, adsvr.org and advertising.com. These third party cookies monitor your browsing habits and deliver ads to you. Often they deliver the same old ads over and over again. I then did my work as usual for the rest of the day. 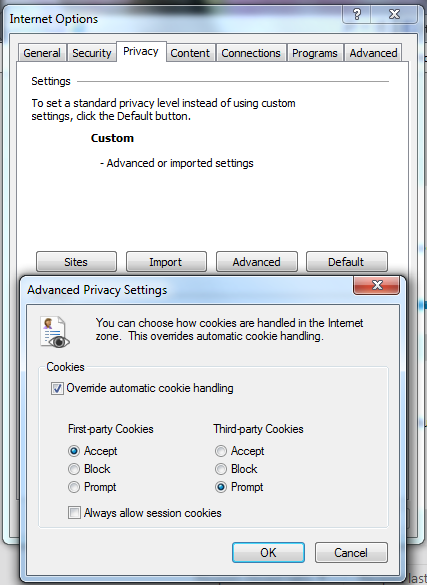 I logged on to sites where I usually logged on, and blocked all cookies from each site that requested it through the Privacy Alert dialog box. Now, 24 hours later I have had 168 Alerts from different sites that wanted to put a cookie onto my machine. That is 168 sites with domain names I have never heard of, hiding on sites that I use regularly. Hidden, perhaps malicious sites that I would normally automatically grant access to place files on to my machine. Most of these sites serve (hopefully) relevant ads. Some of these sites, as they are not under the control of the host web site, could introduce worms and other malware onto my machine. This entry was posted in Internet, Privacy and tagged cookies, internet explorer, privacy and security on August 30, 2013 by eileenb. This entry was posted in Internet and tagged Cisco, The Internet of Things on May 1, 2013 by eileenb. What do these names say about the business? You have instantly formed an opinion, good or bad about what the brand does, what it sells and what its value to the industry is. But what if your chosen domain name is not available? What if some entrepreneurial soul before you has nabbed your chosen domain name? You need to get creative about your domain name. Your domain name can be used to effectively market your product and save you the trouble of building a brand presence like Microsoft and Google had to do in the early days. 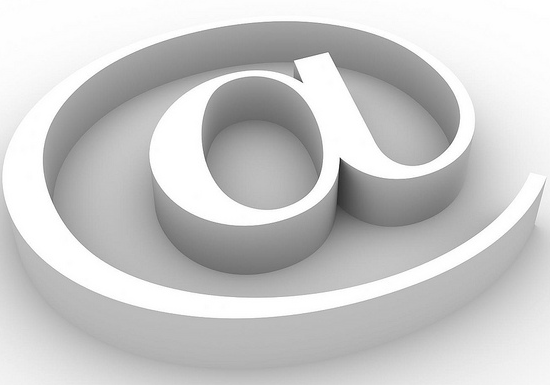 Domain Name Marketing (DNM) is relatively unknown in the UK. DNM is massive in the USA pulling in hundreds of millions of dollars a year and is obviously helped by a massive USA population online. The UK seems slow to engage with this new marketing technology and still pours their marketing pounds into a declining print advertising industry instead of harnessing traffic from keyword domain names. Look at domain names such as shoes.com and onlineshoesuppliers.com. Someone was smart enough to register shoes.com early, leaving the rest of online shoe stores to choose alternative names. And premium domain names get the most traffic. Type in traffic – where the url is guessed at in the browser address bar account for over 50 per cent of visitors to a site. Obviously owning the .com domain is a great idea if you can get it, along with other top level domains (TLD’s) such as .biz, .net, .me (for personal names) and the recently introduced .co. And great top level domains are very marketable. Cameras.com sold for $1.5 million in 2006 and Ticket.com sold for $1.525 million in 2009. 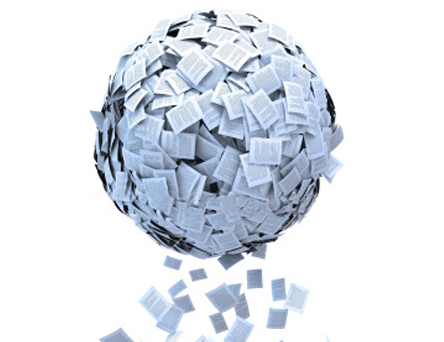 Capture pre-qualified, targeted leads without any SEO and web rankings. People often type their search terms directly into their browser, and a percentage of those people will type their search with a .com or .co.uk. Instead of going to Google and searching for “restaurants in London” some people will type restaurantsinlondon.co.uk into their browser address bar. The business owner with foresight to buy that domain name reaps the benefits, while other restaurant owners in London work at SEO to show up in the search rankings. Increasing organic search traffic. SEO algorithms use the domain name itself. Exact-match keyword domain names are considered to be the most relevant, and as a result, websites with keyword domains tend to rank higher than websites without keyword domains for exact match searches. Increasing click through rates. People are more likely to click on your website if they see a keyword domain in the URL when compared to other URL’s that show up in the search results. Building brand recognition. Consumers associate generic keyword domains with market leadership. If someone searches for Service + Location and they find your website such as NewYorkRentals.com or Bostonlawyers.com they assume you are the market leader for that service in your location. Instant credibility for your brand. So you don’t need to be first to snag Shoes.com or Apple.com. All the generic names have already been taken – and now are for sale for thousands of dollars. Being smart with your domain naming, adding location and service offerings to your domain name could bring you easy SEO benefits and extra revenue for your business. This entry was posted in Internet and tagged domain, keyword domains, TLD on January 3, 2013 by eileenb. According to kpcp, the number of Internet users increased by 8 per cent in 2011, mainly driven by countries such as the Philippines. There were 2.3 billion users of the Internet globally last year, dominated by China with 513 million users, representing a year on year growth of 12 per cent. This was closely followed by the United States with 245 million users (year on year growth of 1 per cent) and India with 121 million users and a year on year growth of 38 per cent. The UK does not reach the top ten list. Mobile adoption is graining ground rapidly.There are 1 billion mobile 3G subscribers. The US leads the way with 3G mobile use -there are over 208 million 3G subscribers there followed by Japan with over 122 million and China with 57 million. Android has the largest market share amongst the smartphones too – with non specific smartphone operating systems coming second. iPhone trails behind in third, and Windows phone far behind in fourth. Android adoption is over 4 x that of iPhone. There is still a long way to go however. Although there are over 953 million smartphone subscriptions, there are over 6.1 billion mobile phone subscriptions — almost one mobile phone for every person on the planet. When will we get convergence — when absolutely everyone has a mobile device capable of receiving data? 10 years? 20 years? It might be closer than we think. And then, what new technology will be available to tempt us to try it? This entry was posted in Internet and tagged growth, Internet, mo0bile phones on November 14, 2012 by eileenb. 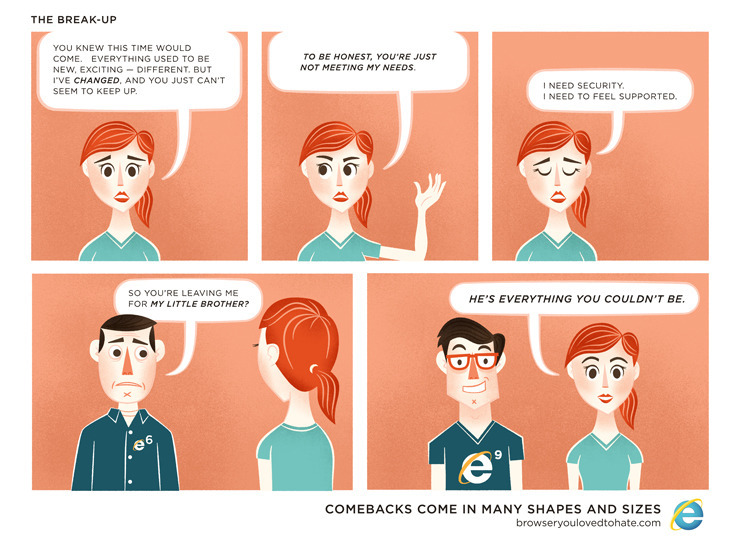 Do you still hate IE? So is it true? have you abandoned IE for Firefox or Chrome? Did you try them and gone back to IE? This entry was posted in Internet, Marketing and tagged Explorer, Internet, Microsoft on May 30, 2012 by eileenb. Are we nice to each other online? Apparently we’re nice to each other online. Forget the back biting and bitching that goes on. Forget the bullying and the harassment, we’re nice to each other online. 85% of SNS-using adults say that their experience on the sites is that people are mostly kind, compared with 5% who say people they observe on the sites are mostly unkind and another 5% who say their answer depends on the situation. 68% of SNS users said they had an experience that made them feel good about themselves. 39% of SNS-using adults say they frequently see acts of generosity by other SNS users and another 36% say they sometimes see others behaving generously and helpfully. By comparison, 18% of SNS-using adults say they see helpful behaviour “only once in a while” and 5% say they never see generosity exhibited by others on social networking sites. I’m not so sure that 85% is the right figure for being mostly kind. Perhaps 85% of Americans who like taking part in surveys, reported this. But there is a LOT of vitriol, harassment, bullying and spite out there. Facebook has several examples of children bullying other children. It’s not limited to children either. Some 49% of SNS-using adults said they have seen mean or cruel behaviour displayed by others at least occasionally. And 26% said they had experienced at least one of the bad outcomes that were queried in the survey. My colleagues at ZDNet have similar problems. Perhaps it’s because our columns are considered fair game to anyone who wants to take issue with anything we say. Violet, has has her fair share of Internet aggression, writes about it – and is roundly criticised for doing so. Perhaps we set ourselves up for bad behaviour, perhaps by our very presence online, we encourage comments of spite, vitriol and hatred. If so, it’s a sad reflection of the cowards that hide away under a pseudonym and exist to lash out and troll people with opinions. This entry was posted in Internet, Social Networking and tagged behaviour, Bullying, online, spite on February 10, 2012 by eileenb. Has the Internet made journalism better or worse? The Economist has posted an interesting video. It argues the case for, and against the Internet making Journalism better or worse..
I’m in the ‘for’ camp. I think the Internet brings much greater interaction with brands. It forces brands to be more transparent and amplifies mess ups and exposes inaccuracies. However, it has unleashed a new wave of cyber bullies who have the power to say what they want to about a brand. Trip advisor hotels are subjected to awful attacks by consumers with power. Everyone with a blog can publish rants about others if they choose. Openness and transparency can be replaced by vitriol and spite. What do you think? Has the Internet made journalism better? Or is the propagation of rumours, half-truths and gossip destroying the validity of news? This entry was posted in Branding, Internet, Privacy and tagged economist, Internet, journalism on January 17, 2012 by eileenb.